Member of the Court of Protection Practitioners’ Association. James Hargan is a skilled and formidable advocate with considerable and wide-ranging experience acquired over 20 years in practice. He has very substantial experience in all courts up to the level of the Court of Appeal, particularly in matters before the High Court, and regularly appears against leading counsel. He practises exclusively in civil (family, non-family and Court of Protection) work, where he has an enviable reputation for meticulous preparation and in-depth case knowledge, skilled drafting, and a polished performance in court. He is a strategic thinker with a fine eye for detail, and a trusted performer known for his sound advice and approachability. “A strategic thinker and trusted performer, known for his approachability, sound advice and polished performance in court”. James has a particular specialism and expertise in cases concerning serious non-accidental injuries to children, and child deaths, and is very experienced in dealing with cases featuring complex medical evidence from a range of medical and scientific disciplines, including in relation to mental health issues. He regularly acts for children, local authorities, and parents. He has a particular interest in cases turning on paediatric neuro-radiology. He regularly delivers lectures to other practitioners on current legal developments in family law. James also delivers seminars for local-authority social-services professionals and solicitors on topics including complex-case preparation and court skills. James is highly IT literate and very adaptable in his work practices. He is happy to assist by telephone and email, and offers flexible conferencing and site-visit arrangements to suit lay clients and instructing solicitors. Re M (Care; Disclosure to Police)  2FLR 390 – High Court, Family Division. James has over 25 years experience in work involving the factual and forensic investigation of serious injuries to children, and infant death. That experience and specialism has been extensively deployed in the Family Court, routinely at High Court level and against Leading Counsel. More recently in the Coroner’s court, where James sits as an Assistant Coroner. Whilst remaining approachable and accessible to clients, James’ court work, both written and oral, is focused and analytical, and he is a confident and formidable cross-examiner of experts. James Hargan is a formidable and highly skilled advocate. 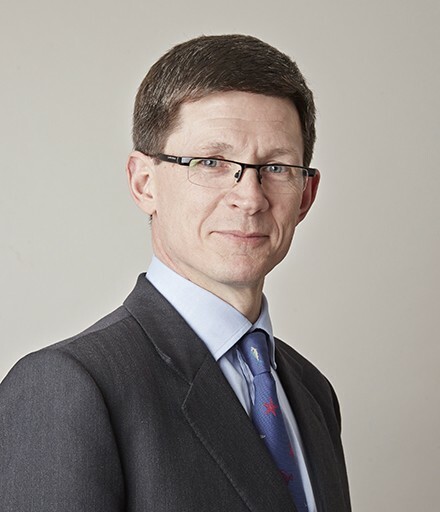 His 20 years in practice provide him with a wealth of experience across a wide range of legal areas, as well as substantial experience in all courts up to the level of the Court of Appeal. He is especially experienced in matters coming before the High Court, and regularly appears against leading counsel. He practises exclusively in family, civil and Court of Protection work, and has earned an enviable reputation for meticulous preparation and in-depth case knowledge, skilled drafting, and a polished performance in court. He is widely recognised as a trusted performer, known for his sound advice and approachability. He puts clients at ease. James is highly experienced in dealing with cases featuring mental health/capacity issues. He has particular expertise in cases concerning serious non-accidental injuries to children, and child deaths, and handles cases involving complex medical evidence from a wide range of medical and scientific disciplines. He regularly lectures to other legal practitioners on developments in family law and non-family civil litigation. He also offers training to social-services professionals and solicitors in local authorities, covering topics such as the preparation of complex cases and courtroom skills. James is happy to assist by email and telephone, and is flexible about arranging site visits and conferences to suit lay clients and instructing solicitors. He is IT literate and very adaptable in his working practices. Many Congratulations to James Hargan who last week completed the gruelling Montane Spine Race. The race which involves running the entire 268 miles of the Pennine Way is not only regarded as the toughest ultra-marathon in Britain, but also one of the hardest in the world.